On behalf of the NBRSA Leadership Team, I want to personally thank you all for the work you do to schedule, plan, and organize NBRSA registered matches . I’ve done it myself, and I know what it takes. It’s a lot of work to pull together all the necessary activities to provide us an opportunity to participate in well run competitive events. I know it may seem at times as a thankless job, but when the last competitor leaves the range, I feel proud that I was able to support my region and run a good match. The last task of running a great event is to send a match report for printing in the NBRSA Precision Rifleman magazine. I would like to provide you a few pointers to make it easy for you and me (as Editor). No matter what format your match report comes to me, I must work with it to place it in a format suitable for the magazine . Point 1: MATCH WRITE-UP/REPORTS The actual match report, which goes into detail about the number of competitors, wind conditions, target by target competition, etc. can be sent to me either as a Word document (file) or within an email as text. Any form of text will work if it’s not scanned into a picture or PDF. I typically will not rewrite it, so make sure you proof read it and have all the names spelled correctly and the scores/ aggs correct. Don’t do any formatting of your write-up, because I’ll have to change it to fit it in the magazine. Point 2: MATCH SCORES/RESULTS The best way to provide scores and results is in Excel. For group matches, the use of the Bughole program makes everything easier for all of us . The program has a feature that provides for exporting and importing shoot data, and we can use that to standardize our reporting. The easiest way for you to share the results is to attach the Bughole Match file to an email and send it to me . I can then export what is needed (aggs, grands, etc. .), to go along with your Match Report. If you are good with this technical stuff, you can export what you want and attach the files to your email. The best file format for an Equipment List is Excel (which allows me to import it into the magazine). Therefore, equipment reports will still need to be created as a separate document . As a matter of fact, the equipment list has been hidden in the latest version of Bughole. Some of you already know how to export and import shoot data and have been using this feature to move data between computers. 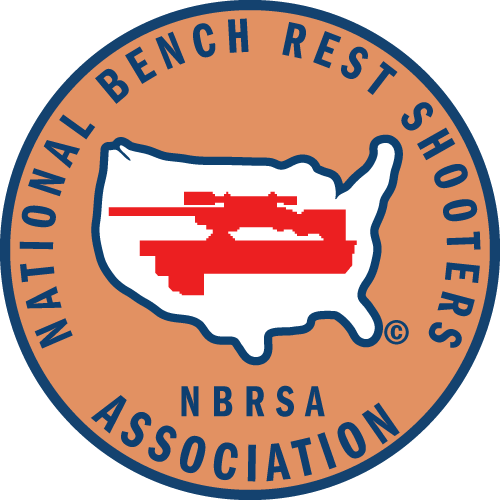 For anyone who doesn’t know how to do this, Steve Lee has attached a PDF document on NBRSA .org website (under Resources) with instructions on how to do it. After reading the document, if you have any questions you can email him at sclee6ppc@gmail .com or call him at 205-3176510 . Just a reminder, check to see if you have the latest version of Bughole. For score matches, results should be submitted as MS Word, Excel or text files. Point 3: PICTURES Pictures in general (competitors and ranges) are what readers enjoy the most from the magazine. Therefore, if you send me the highest quality pictures (in terms of megabytes, the larger the better), they will look the best in the magazine. So, whether you’re using your cell phone or an actual camera, make sure you attach those pictures in the highest quality (megabytes and size) in your email to me. Pictures in JPEG format are fine. Other high-end photographic quality pictures, such as TIFF are fine also. Remember, don’t forget to tell me the names of the individuals in the pictures . Point 4: SEND REPORT TO: Please send your match reports to both the Editor (me) and Business Manager (Pam Campbell). Bottom line, we are requesting that all match directors export group shoots in Bughole format then email that file, along with write-ups, pictures and equipment lists. I can then import the files and convert them to a format that I can use to place them in the magazine.